Are you looking for a modern, value-packed compact SUV that gets great fuel economy? The 2016 Jeep Compass at Clint Bowyer Autoplex in Emporia, Kansas comes well-equipped at every trim level. In addition to Emporia, Clint Bowyer Autoplex is proud to offer residents of Osage City, Council Grove, Manhattan, Ottawa, Lyndon and Cassoday a great selection of new Jeep Compass SUVs, and we’re ready to earn your business! If you are in any of these areas and are looking for the perfect Jeep Compass, you can trust Clint Bowyer Autoplex in Emporia, KS to meet all of your SUV shopping needs. 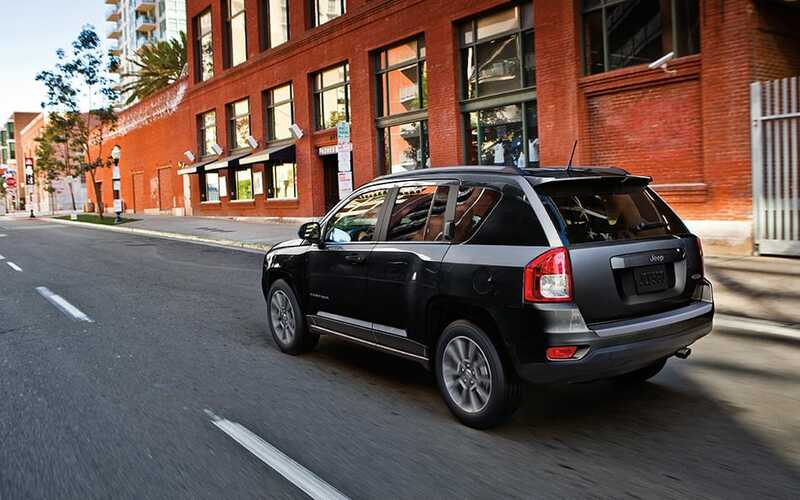 Come in and test drive a 2016 Jeep Compass today! View our 2016 Jeep Compass Inventory. Contact us directly at (620) 343-6723 to find out more about 2016 Jeep Compass SUVs at Clint Bowyer Autoplex in Emporia, Kansas!